These Canadian projects in Northwest B.C. are located in transboundary watersheds of key salmon rivers—the Taku, Stikine and Unuk—that originate in B.C. and flow into Southeast Alaska. The Taku, Stikine and Unuk watersheds span almost 30,000 square miles, or an area roughly the size of Maine, and are the cultural and economic lifeblood of Southeast Alaska and Northwest B.C. 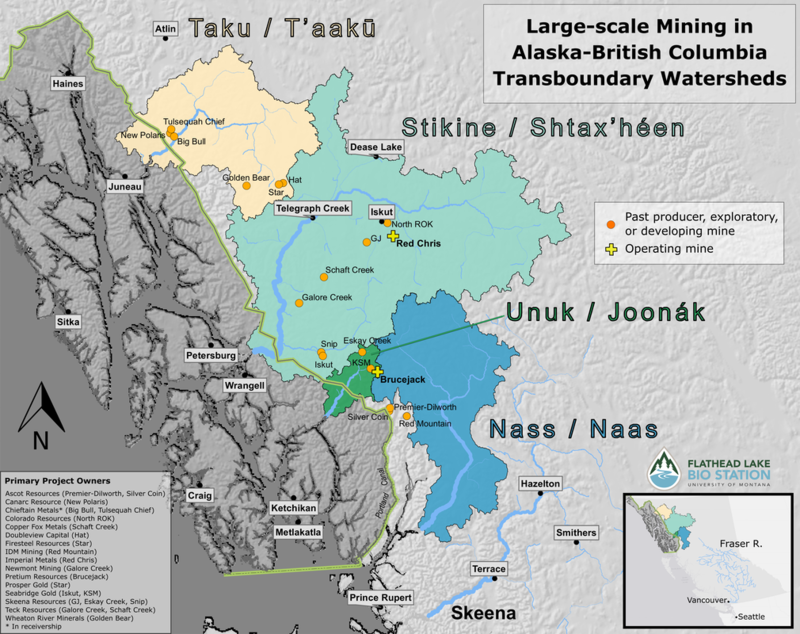 The existing and proposed mines in these watersheds are likely to produce acid mine drainage and toxic heavy metals that could harm British Columbia's and Southeast Alaska’s lucrative fishing and tourism industries, the traditional practices of indigenous peoples, and the way of life of all the residents of the region. These large-scale projects offer no economic benefits to Alaska. Alaska’s congressional delegation, and several dozen Alaska municipal governments, tribes, commercial and sport fishing organizations, NGOs and businesses have so far called on the U.S. Department of State for action under the Boundary Waters Treaty to protect the water and ecosystems—and the cultures, fisheries and way of life dependent on them—in the Taku, Stikine and Unuk watersheds.